You can call him overvalued, you can call him overpaid; In fact, you can call him whatever you want. Sam Bradford proves that teams are willing to give up a significant portion of their financial merit to the quarterback position. A career defined as injury-ridden will continue with the Arizona Cardinals. Bradford is expected to sign a 1-year-deal worth $20 million. The deal will come with an option of an additional $20 million. To put it into perspective, Kirk Cousins is expected to sign a 3-year-deal for the Vikings on Thursday worth 28 million per year. Do you agree with spending an additional $8 million per year for Kirk Cousins? 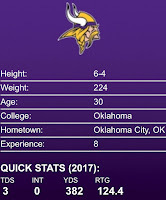 Bradford was traded to the Vikings in 2016 for a 1st and a 4th round pick. The Eagles were set to pay Bradford $11 million. 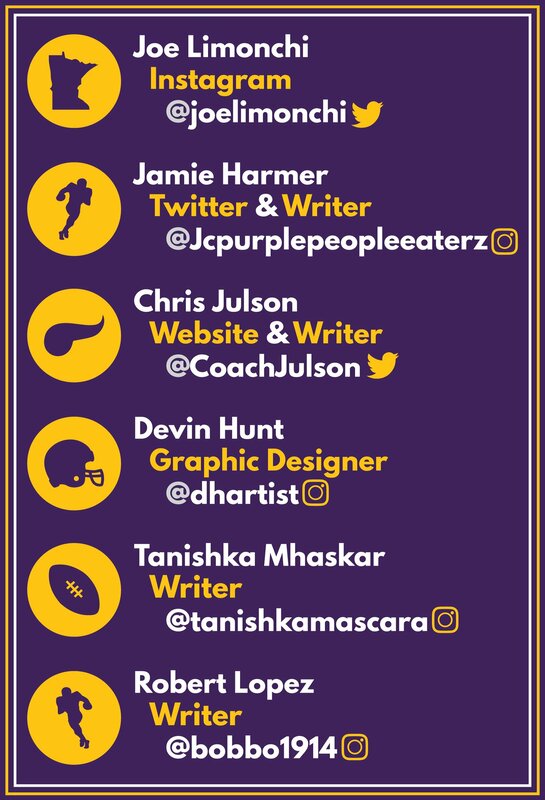 The Vikings were responsible for $7 million the first year, and $18 million in 2017. The value for quarterbacks has hit an all-time high these past few years. 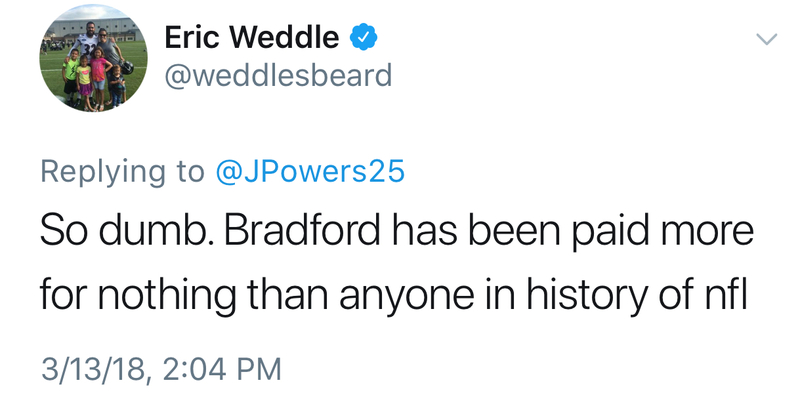 Bradford passed for 3,877 yards, twenty touchdowns, and five interceptions in 2016. 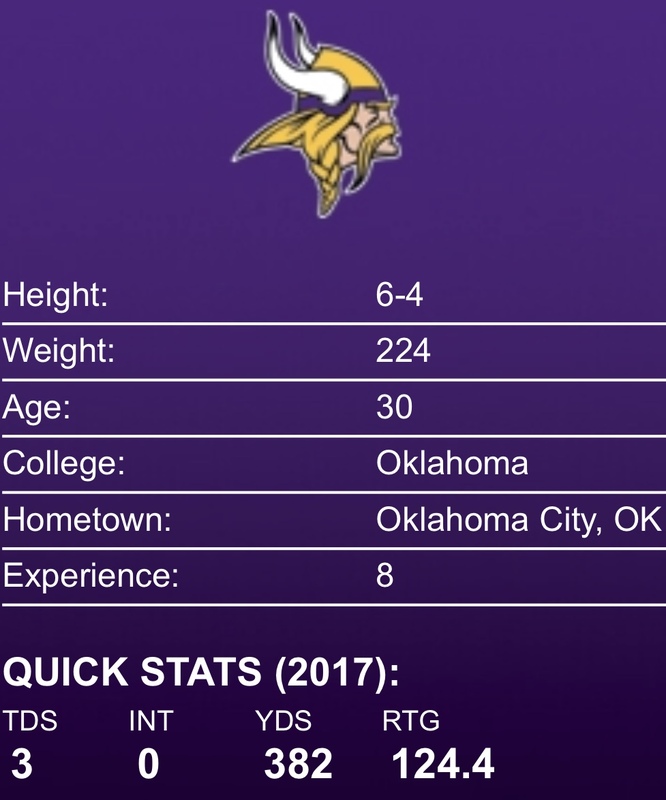 His Heisman winning right arm was extremely efficient as a Viking until 2017, only playing in a game and a half. 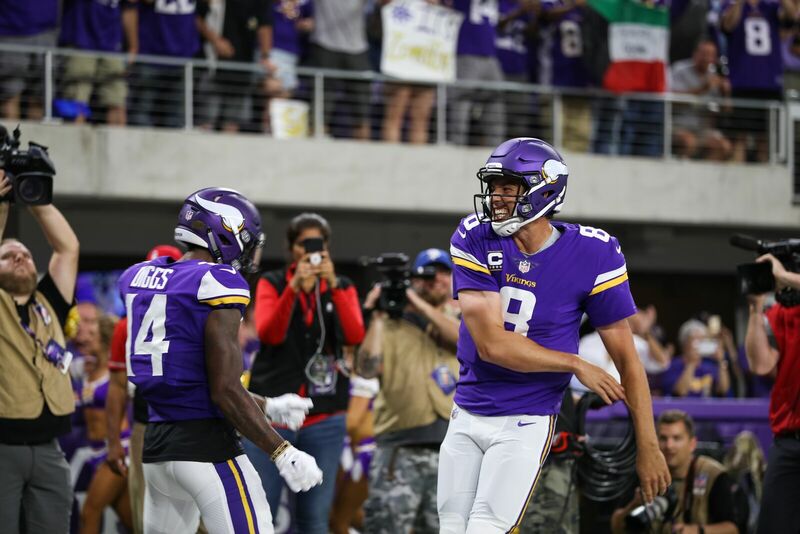 His performance against the Saints was stellar, before what Zimmer called, "Degenerative knees," became an issue until the last effort with the team against the Bears four weeks later. 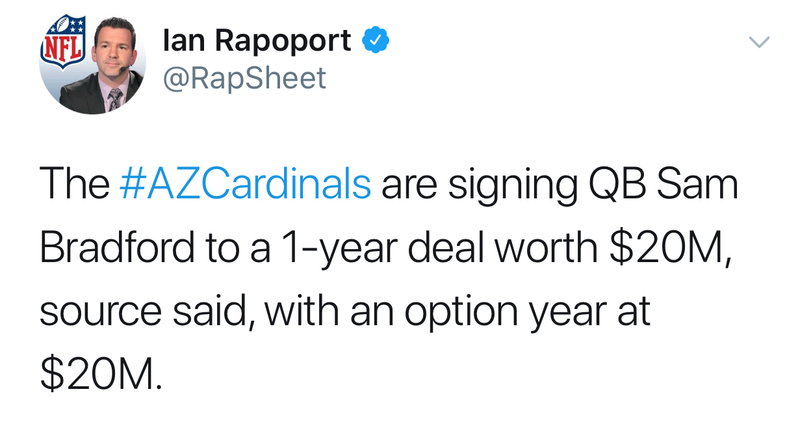 I hope he can make it worth the price of admission for Cardinals fans. Bradford deserves another chance. Being 30-years-old, this upcoming season could be his last, and I do not feel bad. He has made a lot of money for little production in his career. 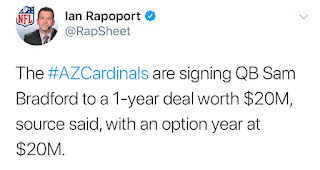 (Rams: $65 million, Eagles: $24 million, Vikings: $25 million) The additional $20 million (possibly $40 million) if his production is high next season, from the Cardinals, is beyond belief. 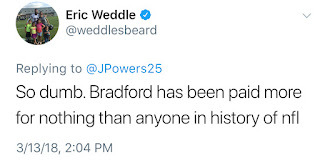 I won't be a hater, unlike Eric Weddle on Twitter today. Good for him, and good luck in the heat of Arizona. Okay, that is extremely funny, being that he is dead-accurate with his recent tweet. Even so, thank you for your time and effort spent in Minnesota. You indeed gave it everything you had, and it is good to be Sam Bradford, otherwise known as the 134 Million Dollar Man.